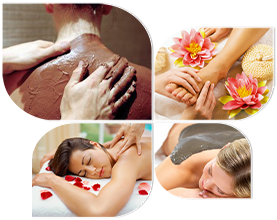 If you are looking to soothe or to stimulate, Happy Day Spa conveniently situated in South Sacramento, Natomas and Folsom has all the skills to enable you to relax. At Happy Day Spa, our priority is to provide our clients with the utmost relaxation and we aim to pay every attention to the precious moments that belong to you. Our professional massage therapists are all well trained and can help you to gain tremendous experience via deep relaxation. Working together with our friendly and professional staff, we hope to achieve higher satisfaction. Set up an appointment today and begin the experience! You can purchase a gift certificate anytime in store. Gift certificates are purchased in the amount of a specific treatment. No expiration date and it can be used in all locations. We offer a variety of packages at a discounted price. Surprise your loved ones with this unique offerings from us!